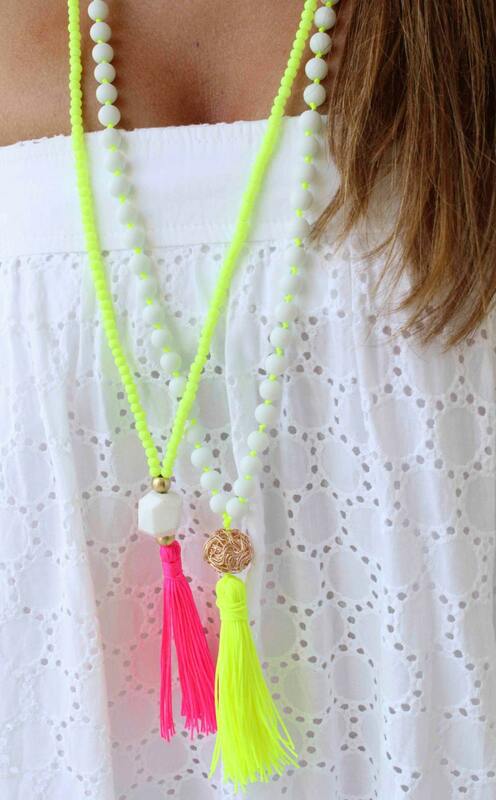 This summer's MUST HAVE necklace! 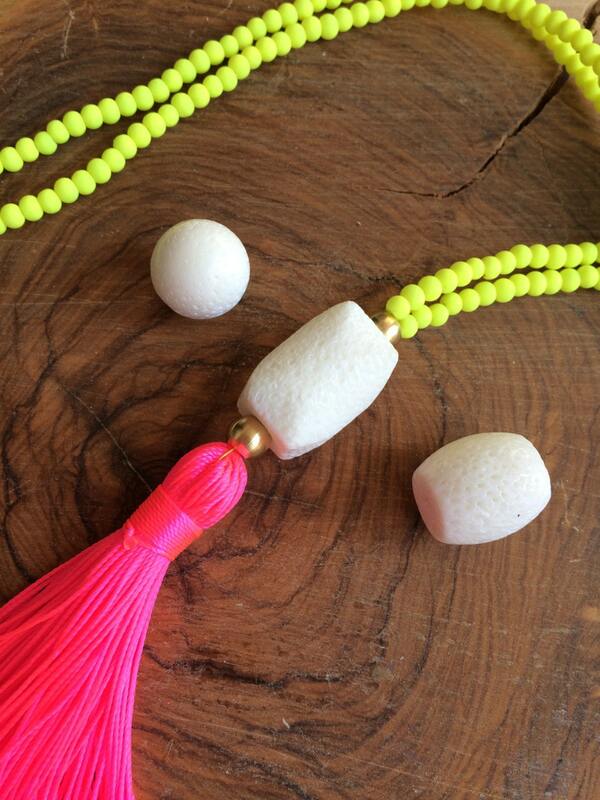 !Neon Yellow matt beads and a neon Hot pink tassel!! 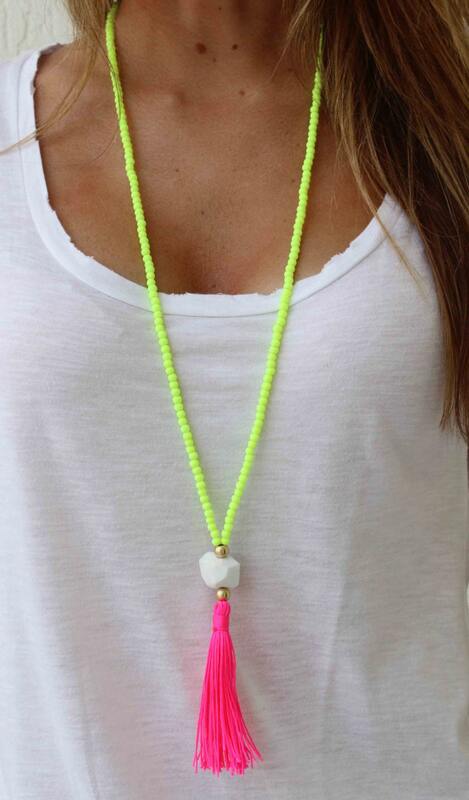 You can wear it everyday and it is perfect with your bikini!! Also available in other colours! !Just send me a message so we can make your preferred combination!! I just love this necklace. 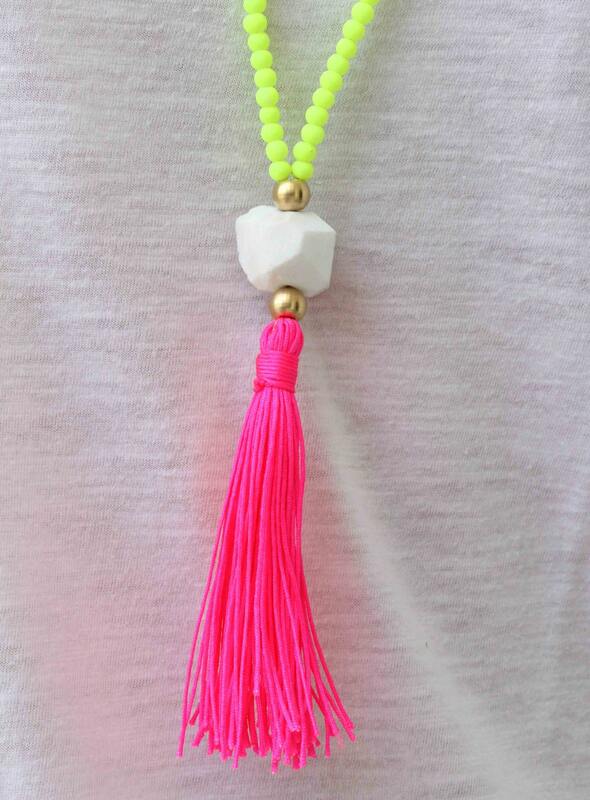 It is well made, colourful, perfect length and instantly lifts any outfit. It arrived in less than 2 weeks. Delighted with it.